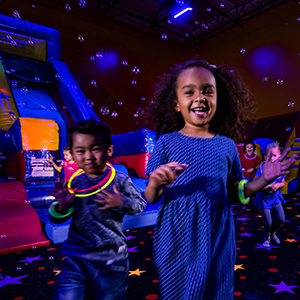 Experience an action packed challenge between you and your friends in our glow arena with special effects lights and moon blasters! 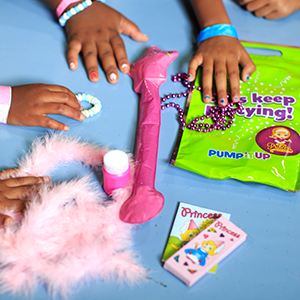 Each child will receive a moon blaster gun plus the birthday child will also receive their very own glow necklace. The kids and parents are easy targets and the soft pong balls glow in the dark as they soar through the air. Adding this experience to your party gets the parents involved and having as much fun as the kids! Call us today and learn how you can add glow wars to your next party! A glow necklace is included for every child. Have a life-size Minion make an appearance at your party!!! 20 minutes of dancing and fun with a really big blow up minion. We will take pictures of everyone with the minion as well!! 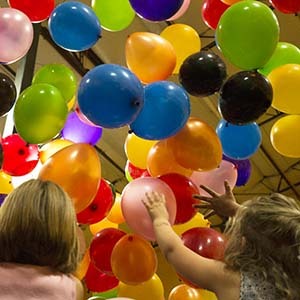 Amaze your party guests with 500 balloons falling from the sky!! It's the most magical balloon experience ever. Unlimited air hockey games for $10. 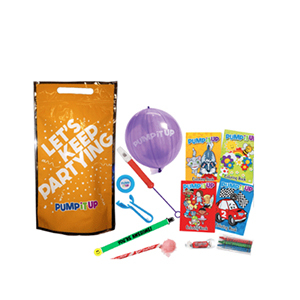 Keep the kids busy with this fun goodie bag! Includes a coloring book, crayons, a whistle, candy, a balloon, a bracelet, & other toys! Includes: Inflatable ball, rockin' thunderstick, shutter shades, hand clapper and 3-point flyer. Contents may vary. 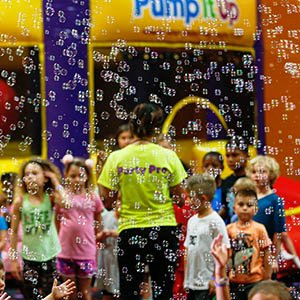 It's time to plan the kids birthday party of the year at Pump It Up of West Melbourne!